Management is nothing but managing the group of managerial personnel. At times management is the process of Planning, Organizing, Directing, Staffing, Controlling, and Co-ordinating. "Management is the art of getting things done through people". Below are the various management courses provided in India. Management education has gradually becoming an essential qualification just like engineering and medicine. MBA is the most sought program liked by many candidates in the world. Master of business and administration doesn't focus only on business management and industrial management but also in other field such as Computer Management, Health care, Administration of Public enterprises, Financial Portfolio management, labour management, personnel management, rural management etc. Basically the admission procedure into management courses in India varies, it depends upon the type of course and institute. Both the government and private institutes offers the management courses. The candidate can pursue management courses in both regular and open universities. 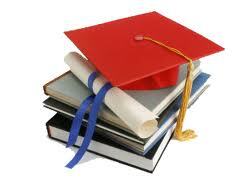 "Following is the list of Management Colleges in India. All Management Colleges in India are divided states wise. To view Management College in India in a particular state click on the link of that state. The number of Management Colleges in India in any particular state is mentioned in front of the link. If you come across any Management colleges in India which is not found from our list below, please do let us by using add in list which is default in our website".